There is a new push for justice in the death of a Hillsborough County teenager, killed while walking to a friend's house Friday night. 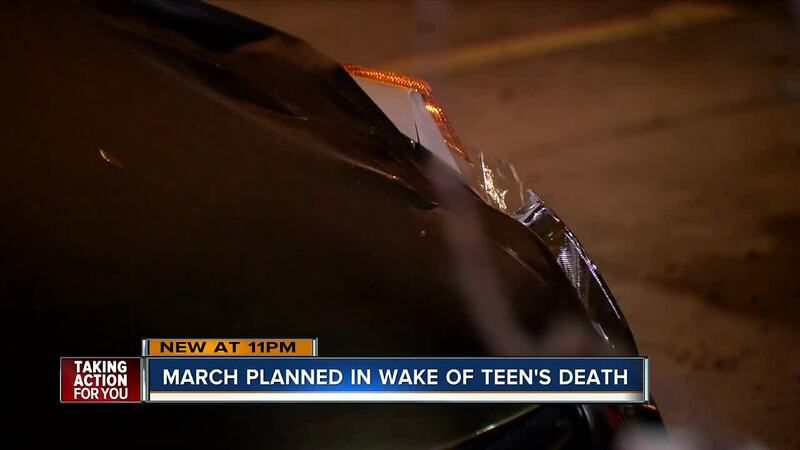 HILLSBOROUGH COUNTY, Fla. — There is a new push for justice in the death of a Hillsborough County teenager, killed while walking to a friend's house Friday night. Josiah Pinner, 15, died after an undercover Hillsborough deputy struck him while driving an unmarked car at North Florida Ave. and East 124th Ave.
HCSO says that deputy had a green light and Josiah and another teen crossed North Florida Ave. outside of a crosswalk. “Like someone punched me in the gut knowing that I lost someone that I really cared about," said friend Angeliz Rivera. Jason Carey is helping organize a rally in honor of Josiah Thursday night. It will start at 6:30 near the location where Josiah was killed. “His mother is asking for answers," said Carey. "We just want to make sure that everything is transparent and that the victims get justice."